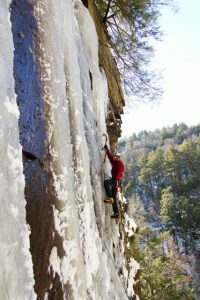 As the Sam Adams commercials claim, “there is a rhythm of the seasons.” This is especially true when it comes to ice climbing. Where does the rhythm begin, however, and where does it end? 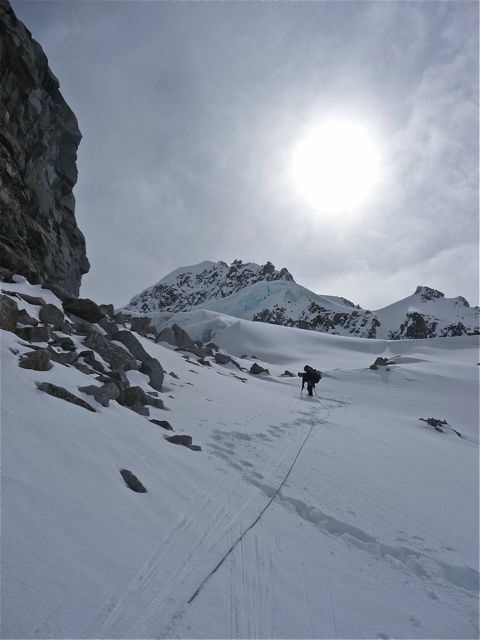 Does a lack of climbable ice in the immediate area mean that the season is over? 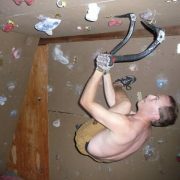 Or is it just another cog in the wheel that is the calendar of ice climbing? For many, ice season ends in March and begins sometime around December. I would counter, however, that the season never ends. There is a rhythm to the ice climbing season, and while there may not be ice at the Lake, Chapel Pond, or Cathedral, out of sight is not necessarily out of mind. Late March/Early April is usually the end of the season when it comes to climbable ice. Sure, you may be able to force some laps in the Canyon, but if you’re climbing Lions on the Beach come April Fools Day (or beyond), it’s doubtful that the climb itself offers much beyond that certain satisfaction of squeezing in the absolute most out of that most ephemeral of H2O’s phases. Generally, the bin of gear comes out, the tools/boots/crampons go in, and the chalk bag/kayak/running shoes/(enter your own off-season time-wasting accessory here) come out. By the time May rolls around and flows through June, July, August, and September, ice season and all of its glories seem like a past lifetime, but there are options. For most, however, a trip to the greater ranges of the world is not in the cards (at least not on a yearly basis). Leisurely strolls through Vermont’s hills, clipping bolts at Rumney, and blowing $#!% up in honor of America’s Independence have all but erased the memory of winter’s monochromatic beauty. It’s at this time that we wish that summer could eternally bask us in her radiant glory. Lost in the warm glow of a summer evening is the opportunity to reflect upon the last season and prepare for what lies ahead. Reflection is an important part of the ice climbing season: It allows us to better understand where we came from and where we would like to be. Through reflection we can identify how and why events transpired and who we are as climbers. Without reflection, whether overt or subtle, we are stuck in a rut of climbing aimlessly. The climbing may be fun (and that is the goal), but are we enjoying the climbing because it is what we want to be doing, or are we missing out on opportunities to enjoy new routes, new environments, new partners, and new experiences? 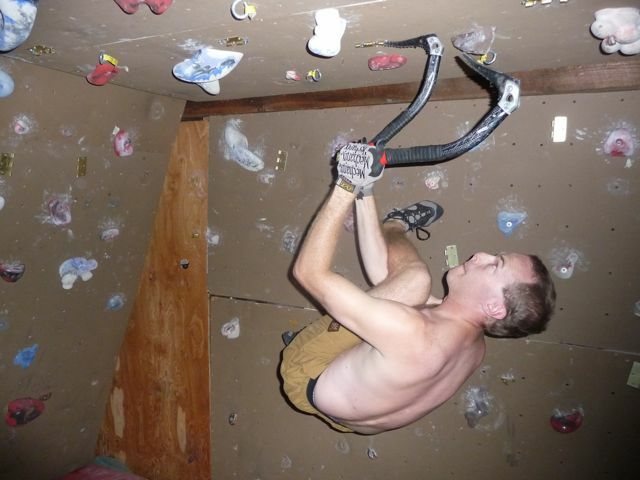 The best climber may be the one having the most fun, but is there an opportunity for even greater fun around the corner? Ultimately, reflection sets the stage for preparation: Identifying strengths and weaknesses in the reflection process can help us identify training strategies. Examining mistakes we have made can yield better judgement when facing similar situations in the future. Through reflection we can be better prepared for the risks that are inherent in climbing. For some, this is an inherently personal and introspective process. In other cases, sharing the reflection process with the community at large can result in greater community discourse and understanding. Other preparations yield more tangible results. The off-season is a great time to send away your screws for sharpening. In fact, waiting until the ice is in is a surefire way to: a) miss the start of the season, or b) end up gripped on something way over your head, cursing the medieval torture device you are using as protection. NEice has numerous members who do first-rate work on sharpening ice screws. Scour the forums and see what’s being offered (expect more on this topic later, but for now, exercise your noggin and master the “search” function!). Use the reflection process to examine where your physical strengths and weaknesses lie, and then work to address the weaknesses. Is your goal to start leading 4s, tackle a backcountry project, or to climb the Promenade? Then start logging time in the gym and on your tools. Instead of spending the first 4 weeks of the ice season getting into shape, spend the first 4 weeks meeting your goals because you did what you could to prepare ahead of time. Football games aren’t won on game day, and test-pieces aren’t climbed in the winter. Put in the work in the off-season, and you’ll be amazed at what you can do once the ice is in.